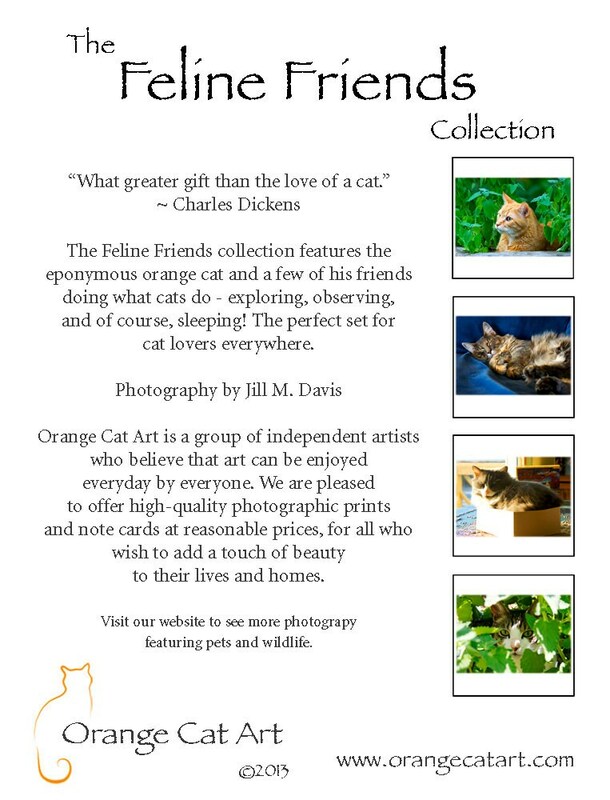 The Feline Friends collection features the eponymous orange cat and a few of his friends doing what cats do - exploring, observing, and of course, sleeping! The perfect set for cat lovers everywhere. 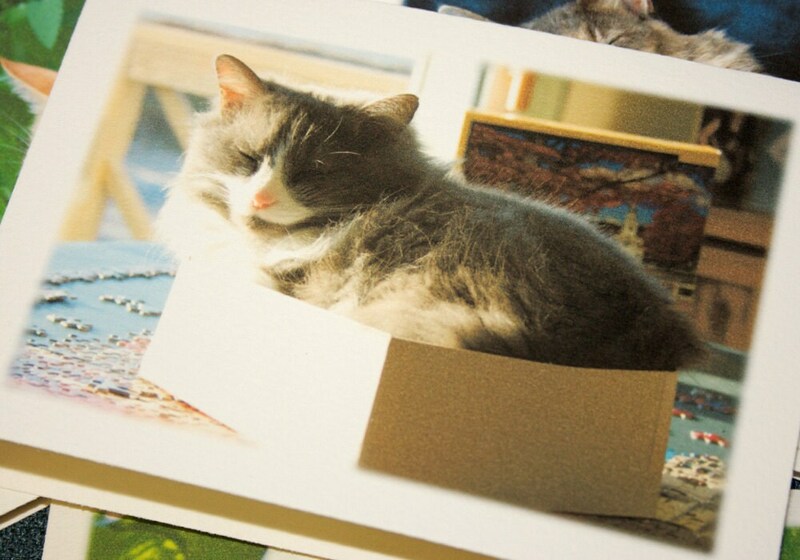 Set includes photos of Mouse (sleeping on blue sofa), Oscar (peeking through catnip), Smoke (in puzzle box) and Barkley (keeping watch from catnip planter). 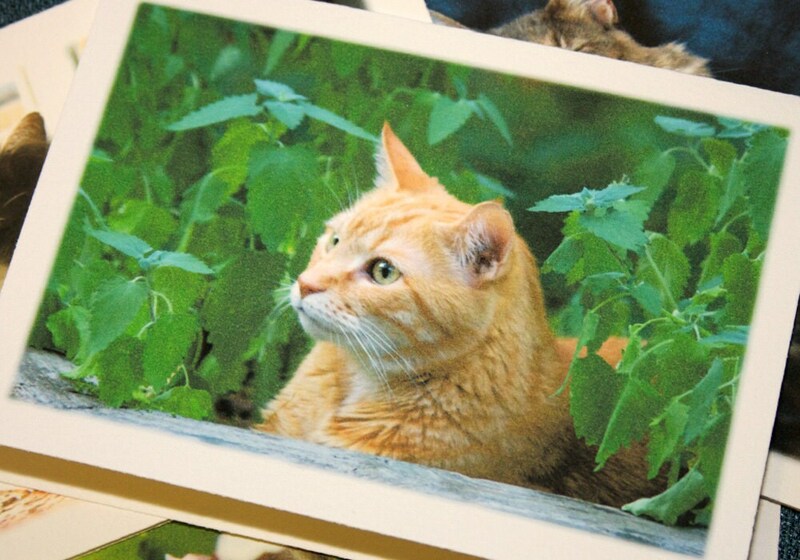 Quality pictures with a good selection of cat subjects. My friend loved the cards!! 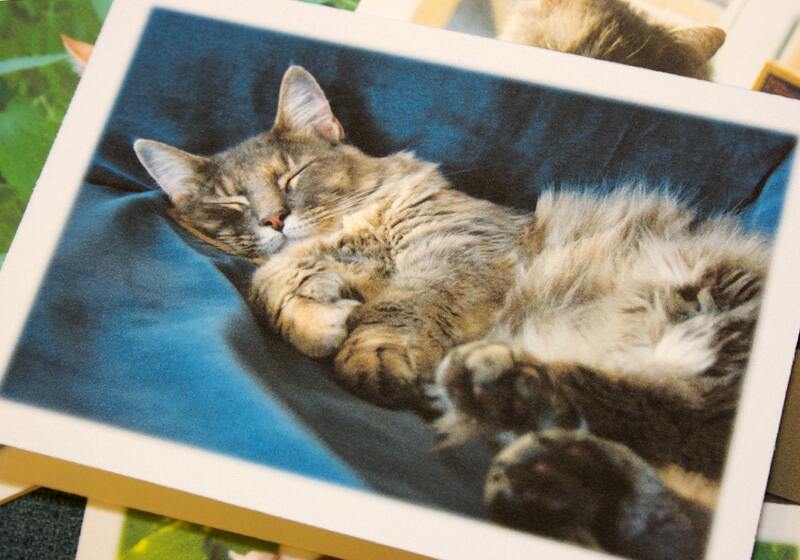 They were mailed quickly to her, reaching her in plenty of time for her birthday. Just perfect! Thanks so much. 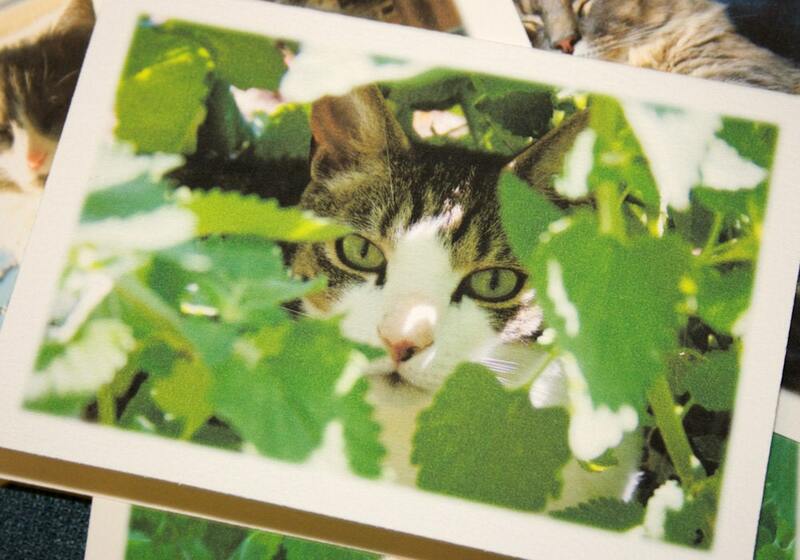 Cards arrived very quickly; thank you! They were a gift for a friend, but I was tempted to keep them. I plan to order more. Very beautiful! My friend loved them! So well done...my friend loved them!